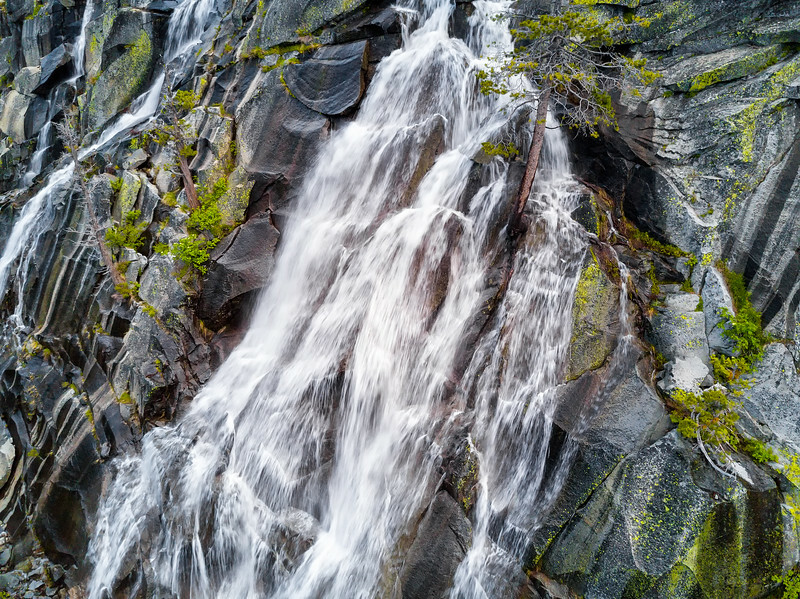 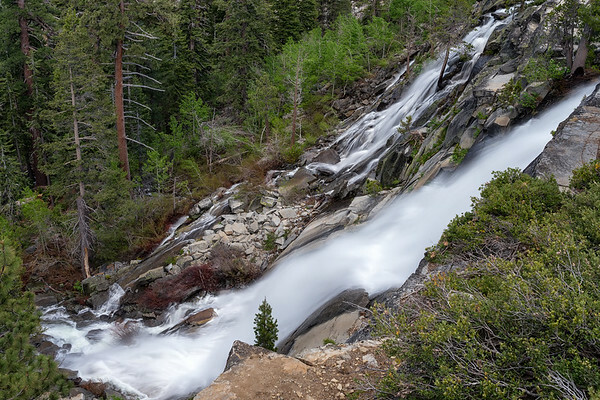 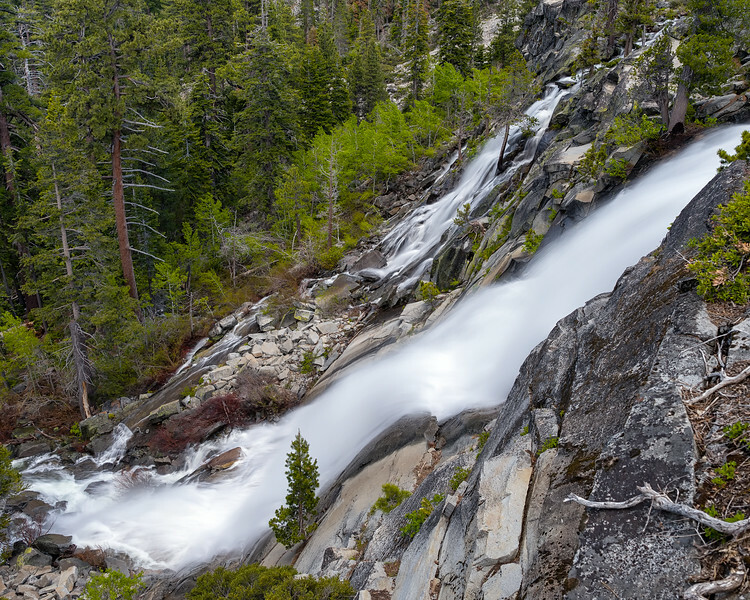 Another popular hike near South Lake Tahoe, this short one drops you off at some impressive vertical falls going into Cascade Lake. 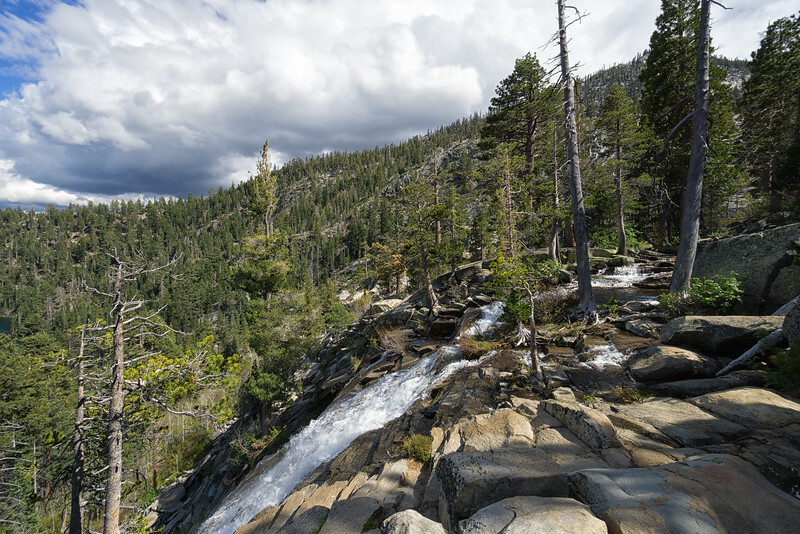 Views of Cascade Lake from the trail to Cascade Falls. 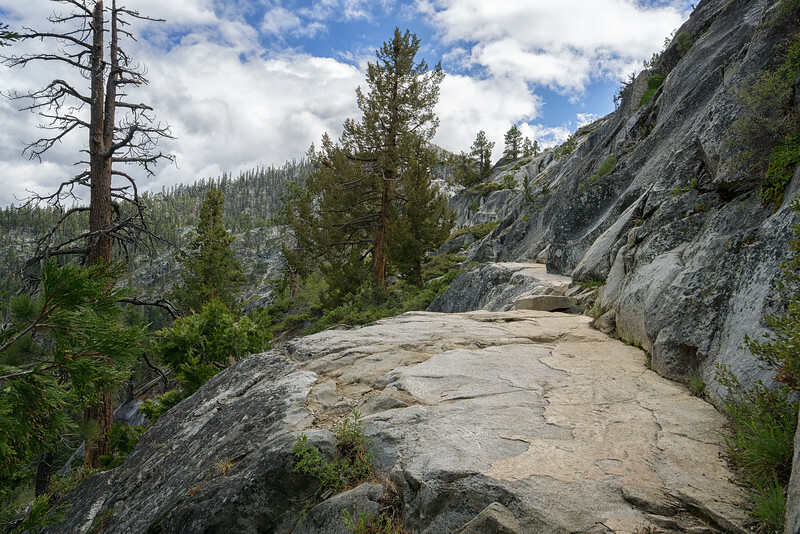 The trail to Cascade Falls alternates between wooded dirt paths and open granite pathways. 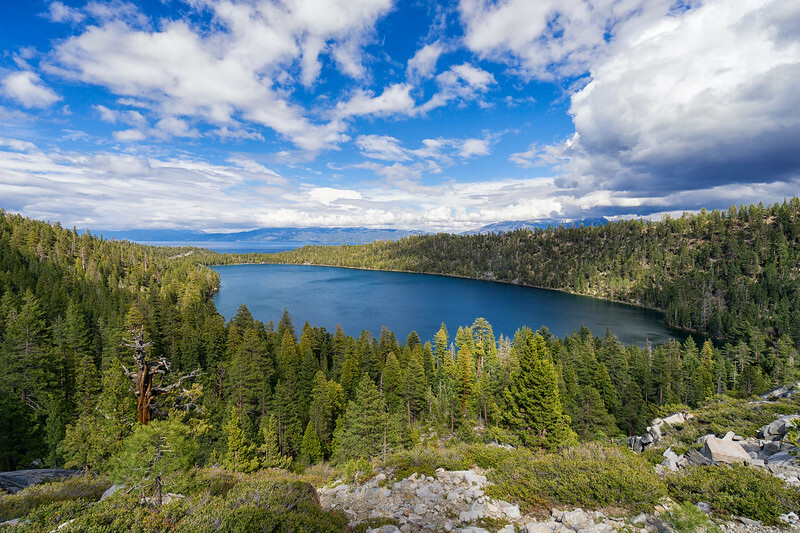 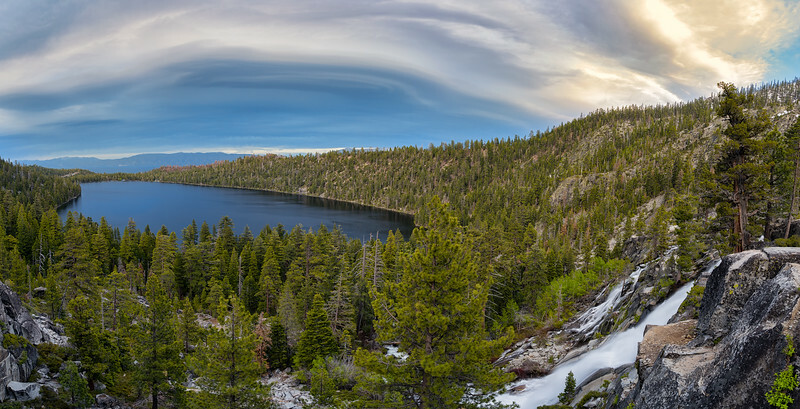 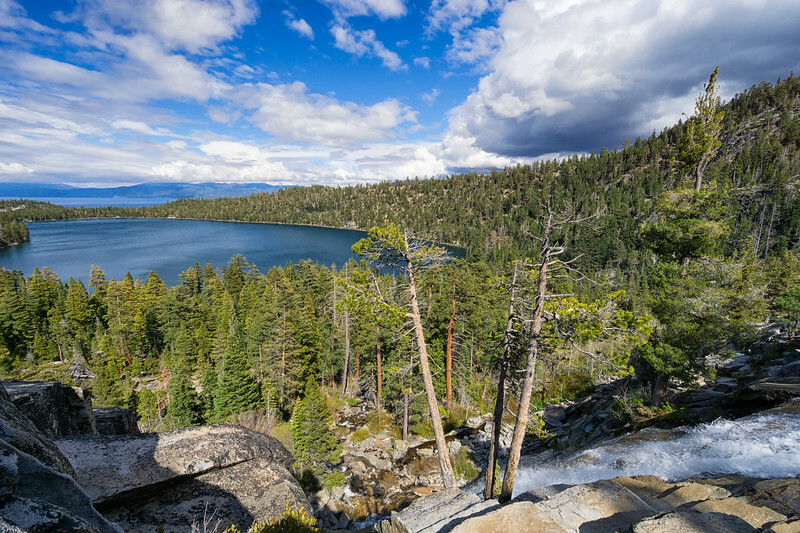 The top of Cascade Falls with views of Cascade Lake and Lake Tahoe.